The national leadership of the Peoples Democratic Party, PDP, yesterday took a swipe at President Muhammadu Buhari and the All Progressives Congress, APC-led government, saying with government’s proposed N1.84 trillion borrowing as contained in the 2016 budget (read: Highlights of 2016 Budget), Nigeria as a country was going the way of Greece. Speaking with journalists, yesterday, in Abuja, PDP National Publicity Secretary, Chief Olisa Metuh, noted that a breakdown of the N1.84 trillion shows that Nigeria would be borrowing N5 billion a day for the next 365 days, starting from January I, 2016, without what he termed, a corresponding provision for economic production and a clear repayment plan, adding that the scenario would spell doom for the future of the nation. 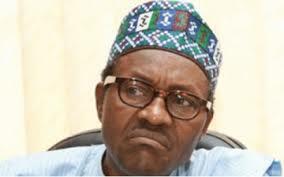 According to PDP, President Buhari must explain to Nigerians why the N6.08 trillion 2016 federal budget would not be considered a huge fraud, designed to mortgage the future of the country, just as it challenged the Federal Government to a public and open debate on the budget devoid of sentiments of the APC-controlled National Assembly and who are minded against any cuts in their own allocation. Metuh said: “Some people may be wondering why we raised an alarm about the budget. The reason is simple. When we analysed the budget, we discovered it is a misshapen attempt at a Keynesian economics of applying deficit spending to stimulate growth even when studies have proven that GDP growth rates decrease by over 50 per cent when debt goes from low or moderate to high. But then we know the borrowing here is to pay huge campaign debt and fund a political war chest.